Tasmania is Australia's only island state. It has the smallest land area of any state and the smallest population, with roughly 500,000 inhabitants. It is separated from the Australian mainland by a body of water called the Bass Strait that has isolated it for thousands of years. Tasmania is the smallest of Australia's six states, with an area of 68,401km² (26,410 square miles). It is comparable in size to Ireland or the US state of West Virginia. Tasmania is separated from mainland Australia by the Bass Strait, from New Zealand by the Tasman Sea, and otherwise surrounded by the Southern Ocean. It is located right in the pathway of the notorious "Roaring Forties" winds that encircle the globe. Most of Tasmania's population is concentrated around the south east and north coasts. The Midlands (the area between Hobart and Launcestion) is primarily used for agriculture. The Huon Valley and the area between Launceston and Burnie is used for both agriculture and horticulture. The Central Highlands, the West Coast and the South West are all mountainous forested areas, a majority of which are protected inside national parks. Tasmania is the most mountainous state of Australia, its tallest mountain is Mount Ossa at 1,617m (5,305 ft). Much of Tasmania is still densely forested, with the Southwest National Park and neighbouring areas holding some of the last temperate rain forests in the Southern Hemisphere. Scientists believe that Tasmania was originally connected to the mainland of Australia and then separated as an island by rising sea levels, and may well have had Aboriginal inhabitants for thousands of years, perhaps even before it became an island. However, the recorded history of Tasmania begins with European discovery: first, by Dutchman Abel Tasman, from whom the island takes its name, in 1642; next, by the French in 1772; and finally, by the British between 1773 and 1799. Upon contact with British colonists, there were nine major Aboriginal tribes on the island, which the natives referred to as "Trowunna." As early as 1798, European whalers and seal hunters began arriving in Tasmania, and this situation motivated the Governor of New South Wales to set up a military outpost on Tasmania's Derwent River to prevent the French from taking control of the island. In 1804, Camp Risdon was founded on the Derwent, and within a few months, Hobart Town, now Hobart, was founded on the opposite river bank. Another colony was soon founded at Sullivan's Cove, which nearly perished from starvation in 1806 but ultimately survived. Next followed the large penal settlement at Port Arthur, but all of the earliest towns were actually penal settlements to a large degree. In fact, 65,000 convicts, 40% of all those ever sent to Australia, went to Tasmania, and the colony had 1/3 of Australia's colonial population by 1830. At the time, however, it was known as Van Diemen's Land, its name being changed to Tasmania only in 1853 to disassociate it with its "convict past." The atrocities committed against the native Aboriginals during the 1820's and 1830's are collectively known as "the Black War." The conflict arose as the British-immigrant population swelled and overtook that of the original natives, putting pressure on land formerly serving as kangaroo hunting grounds to be converted into sheep grazing pastures and farmland. Another factor that led to conflict was that men outnumbered women four-to-one in Tasmania, and convicts began abducting native women. The Aboriginal men reacted with incessant attacks, which led to reprisals. By 1828, the governor gave permission for Aboriginals to be killed on sight in the settled districts. Soon, the native population dwindled to only 300, and these were mostly deported to Flinders Island, where most died of disease. At first, Tasmania was a territory within the colony of New South Wales, but in 1825, it became a separate colony. In 1856, it got its own elected parliament and became self-ruling within the British Empire. In 1901, it joined five other colonies to form the Commonwealth of Australia. After joining Australia, Tasmania continued to grow in population, economically, and as a major tourist destination. Some major events in its more recent history are: the Tasmanian Fires of 1967, the 1975 Tasman Bridge collapse, the 2006 Beaconsfield Mine collapse, and the opening of the Museum of Old and New Art (MONA) in 2011, which soon became Tasmania's top tourist attraction. Tasmania has a cool temperate climate with four distinct seasons. Summer December - February. Average maximum temperature is 21°C, average low 12°C. Autumn March - May. Very changeable weather. Winter June - August. Average maximum temperature is 12°C, average low 5°C. Most high lying areas receiving considerable snowfall. Spring September - November. Snowfall is common through to October. The West Coast and the South West recieve a significantly higher amount of rainfall than anywhere else in the state. The number of rainy days per year in Tasmania is much greater than anywhere else in Australian. The saying "four seasons in a day" is very true here. Tasmania has produced an abundance of well-received literary works, far out of proportion to its size, and those interested in visiting the island, moving there or just learning about its people and culture will do well to explore some famous Tasmanian literature. Bill Mollison is a scientist and teacher who co-authored the 1978 Permaculture One textbook that virtually invented "permanent agriculture" and has been used to train thousands on methods of sustainable agriculture. Marcus Clarke was born in England, moved to Melbourne, and briefly visited Tasmania in 1870 to get a firsthand experience of the setting for his articles on the convict period called Old Stories Retold and for his novel on the same topic called For the Term of His Natural Life. A street in Canberra now bears his name, and he has also been honored by being placed on an Australian postage stamp. Richard Flanagan is an award-winning novelist who was born in Longford, Tasmania in 1961. His work The Sound of One Hand Clapping, (about Slovenian immigrants) was a best-seller in Australia. His novel Gould's Book of Fish tells the story of a convict/artist who falls in love with a black woman in 1828 — it was inspired by a true story and won the 2002 Commonwealth Writers' Prize. His most recent work, The Narrow Road to the Deep North, tells of a flawed war hero who survives the cruelty of enslavement to build the Japanese Death Railway from Burma to Thailand. It won the 2014 Man Booker Prize. Rohan Wilson wrote the novel The Roving Party and received the Vogel Award for it in 2011. It is set in the dark days of the Tasmanian Black Wars, when merciless bands "roved" the countryside in search of Aborigines to kill or capture as prisoners. 'Heather Rose, born in Hobart in 1964, has published several novels, one of the most well known being The Butterfly Man, which won the 2006 Davitt Award. It is a crime-fiction novel set in London that involves the murder of a family nanny and the disappearance of one "Lord Lucan" soon thereafter. Christopher Koch, a Hobart native who lived from 1932 to 2013, is most famous for his 1978 novel The Year of Living Dangerously. It is set in Jakarta during the dangerous days of the fall of the Sukarno regime, and it has been turned into a film directed by Peter Weir and starring Mel Gibson. The children's book Tiger Tale is a picture book that was written by Steve Isham and illustrated by Marion Isham. Published in 2002, it retells an old Aboriginal legend about how the Tasmanian tiger first acquired its stripes. The illustrations use torn paper collage to give them a "folklore-like style." Tasmania's main industries are mining (including copper, zinc, tin, and iron), forestry, agriculture, fresh produce (fruit, vegetables, dairy, seafood, beer and wine), and tourism. Second Monday in June: Queen's birthday holiday. Tasmania is 10 hours ahead of Greenwich Mean Time and 18 hours ahead of Pacific Standard Time (PST). Daylight Saving is observed from the first Sunday of October to the first Sunday of April the following year. The Tasmanian devil is a carnivorous marsupial found only in Tasmania. The size of a small dog, it is the largest carnivorous marsupial in the world. It is characterised by its stocky and muscular build, black fur, extremely loud and disturbing screech, and ferocity when feeding. Despite its appearance, the devil is capable of surprising speed and endurance, and can climb trees and swim across rivers. Since 1996 devil facial tumour disease (DFTD) has drastically reduced the devil population and now threatens the survival of the species, which in 2008 was declared to be endangered. The disease is a transmissible cancer, which means that it is contagious and passed from one animal to another. Individual devils die within months of infection. Programs are currently being undertaken by the Tasmanian Government to reduce the impact of the disease, including an initiative to build up a colonies of healthy devils in captivity, isolated from the disease. As of 2008 there is an estimated 10,000–15,000 remaining in the wild. The most populous region of Tasmania. Hobart is Tasmania's capital and largest city. Hobart is also the second oldest city in Australia. This area encompasses the city of Launceston and the Tamar Valley, the mountainous region of Ben Lomond, the Midlands, and the North East. Small coastal townships and cities following the coast. And some very scenic inland areas. Stunning beaches including the Bay Of Fires and Wine Glass Bay, voted some of the most beautiful beaches in the world. The West Coast has long been the center of mining in Tasmania. This region has the smallest population of any region in Tasmania. This whole region is protected inside the Southwest National Park. The two secluded but very scenic islands in the Bass Strait between Tasmania and mainland Australia. Ross - another of Tasmania's historic towns with many of the oldest buildings in Tasmania as well as one of the oldest bridges. Tasmania has some of the most beautiful and diverse scenery not just in Australia but also the world. Over 45 percent of Tasmania is protected in national parks so you can't make a visit here without checking at least a couple of national parks out. There's a park for every season and for every person. Discover spectacular landscapes from highlands carved by glaciers, to quiet solitary beaches, from cool and silent rainforests, to colourful alpine wilderness wildflowers. Tasmania's 19 national parks encompass a diversity of unspoiled habitats and ecosystems which offer refuge to unique, and often ancient, plants and animals found nowhere else on Earth. Flights to Hobart from Melbourne, Sydney, Canberra, Brisbane, and the Gold Coast. Flights to Launceston from Melbourne, Sydney and Brisbane. Flights to Burnie and Devonport from Melbourne. Flights to King Island and Flinders Island from Melbourne. Tasmania is served by two Spirit of Tasmania Ferries from mainland Australia. They depart daily from Station Pier in Port Melbourne (a bayside suburb of Melbourne) and arrive at Devonport taking the full night (or the full day during peak summer periods) for the crossing. The crossing can be a little rocky at times, but provides beautiful views. You have the option of booking one of a range of a cabins or a reclining chair for the journey. The large ferries take vehicles, bikes, foot passengers and pets. See the Devonport article for the details of the ferry. Crossings are also part of Cruise ship itineraries. Rental car companies usually have restrictions on taking vehicles into or out of Tasmania on the ferry. If you have hired a car on the mainland and need a car to hire in Tasmania, it's best to drop the car off in Melbourne CBD (there is no hire car dropoff at Station Pier), then take the 109 tram out to Station Pier (the terminus is across the road from the ferry terminal); car hire is available at the Devonport terminal. Getting around Tasmania by car is by far the most convenient way to see what the state has to offer. 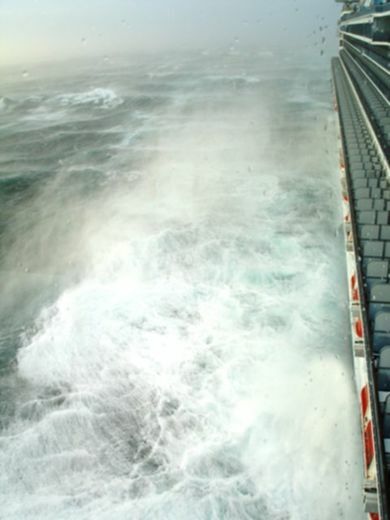 Cars can be brought into Tasmania from the mainland on the Spirit of Tasmania ferry (see above), or hired upon arrival by the major operators such as Redspot, Hertz and Avis. With the exception of Highway 1 between Devonport, Launceston and Hobart, travel times by car will be much longer than you think. The state limit is 110km/h, though achieving that speed on some of the coastal or inland highways is not often possible, and the speed limit of some of those roads may only be up to 90km/h anyway. Many major roads wind their way through mountain passes and along coastlines, with few overtaking lanes, and some major sections of more remote road may be in need of minor repair. Seek local advice if timing is critical, or just allow more time. What appears the most direct road can add hours to your journey time. Again, seek local advice on the quickest route if timing is critical. Also be aware that on some of the winding roads, or on B roads, some locals (who are used to driving those roads) may try to overtake on inappropriate stretches of road or start to tailgate you if you aren't travelling at the speed limit. If you are concerned or feel uncomfortable, it is usually best to pull over where safe and allow them to pass. Tasmania uses an alphanumeric system for road references, and all roads are generally well marked with references and destinations. Attractions are generally well signposted from the nearest main road. As a result, it is quite possible to navigate most of Tasmania using only a rudimentary map. Exploring the forests can often lead to a maze of forest roads. A GPS can come in handy for finding your way out, but beware GPS maps are not always up to date and following them blindly can add unnecessary time to travel. If you have plenty of time in Tasmania, buses can be an option, but you would be advised to study timetable carefully and to do an extra bit of planning, as services can be infrequent. Metro Tasmania provides intra-city bus services for Burnie, Hobart and Launceston. Merseylink provides services to Devonport and Latrobe. There are no public passenger trains in Tasmania, the rail network is solely for for freight and industry. The West Coast Wilderness Railway  is a tourist train which runs between Strahan and Queenstown on the West Coast. The trip takes about 3 hours with lunch included. Par Avion offer scenic flights across the state and services into Melaleuca in the Southwest National Park. Airlines of Tasmania offer flights between Launceston and Cape Barren Island. Sharp Airlines offer flights to Flinders Island from Launceston and flights to King Island from Launceston and Burnie. Bicycle touring is a popular way to see Tasmania. Kangaroos, Wallabies, and Pademelons are everywhere throughout Tasmania. Wombats can be found in many national parks. Be quiet while walking to increase your chances. Ringtail and Bushtail Possums only come out at night. If you stay the night in a national park you will be sure to encounter one. Echidnas are rarely seen in the bush. They're more easily spotted when crossing roads. Bandicoots and Potoroos are at the small end of the jumping marsupial scale. Platypus are very elusive. If you are persistent and very quiet and still you may find one rummaging the bottom of a creek. Eastern and Spotted-tail Quolls very rarely seen. Tasmanian Devils are rarely seen in the wild. They can sometimes be spotted along roadsides eating roadkill at night. Bay of Fires: The blue waters, red rocks, and white-sand beaches along the Bay of Fires has made it a popular retreat area for camping, boating, fishing, swimming, surfing and bird watching. Even just walking along its scenic coast is a major tourist draw. Cataract Gorge: "The Gorge" is a mere two-minute drive, or 15-minute walk, from downtown Launceston. You can follow a foot path down the cliff-side and into this unique, natural formation to enjoy its beauty. You will also find restaurants, swimming pools and a beach. Hastings Caves: This site has a number of caves you can explore, including the biggest dolemite tourist cave in all Australia — Newdegate Cave. You will see flowstones, stalactites, stalagmites, columnar formations and unusual "helictites," which have tiny filaments of calcite growing in every direction. You can also relax in an on-site thermal pool, however do not expect it to be any warmer than your typical outdoor community pool. Australia's only national park featuring caves. Among many features are the King Solomon and Marakoopa Caves, both of which can be viewed with Tasmania Park Service guides leading you. Both caves are distinctly different and a separate entry ticket is required for each. Tour times are staggered throughout the day. 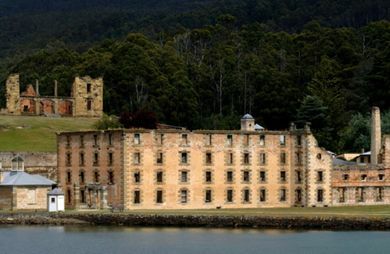 Port Arthur  is the best preserved convict site in Australia. Many years ago, this site was a key role in the colonial system of convict discipline. During your experience, you will have the chance to take guided tours of the Commandant's House, Parsonage, Trentham Cottage, Junior Medical Officer's quarters, historic buildings and ruins of the Penitentiary, Barracks, Guard Tower and military precinct, Hospital, Paupers' Depot and Asylum. Port Arthur is surrounded by beautiful bushland and trails available to explore the land around you. Salamanca Place in Sullivans Cove, is Hobart's favourite hang out. Salamanca is lined with a long row of sandstone buildings built in the 1830s. You can wander under the heavy stone arches to find craft and design shops, jewellers, coffee shops, restaurants, bookshops, fashion boutiques, and the Salamanca Arts Centre and artists’ galleries. Every Saturday there’s the Salamanca Market, where you can buy anything from a handmade wooden toy or a hand-spun, hand-knitted sweater to fresh fruit and vegetables or a 50-year-old china plate. The Nut is located at the historic village of Stanley, in far north-west Tasmania. The Nut, a sheer-sided bluff is all that remains of an ancient volcanic plug. A walking track climbs to the summit of The Nut, or you can take the chairlift, with spectacular views across Bass Strait beaches and over the town. There is accommodation and an excellent campground in Stanley, and the town is a good base for exploring the forests and coastlines further west. Mole Creek Karst: A national park in Tasmania, at Mole Creek Karst you will find two tour-able caves: King Solomon and Marakoopa Caves. Port Arthur: In the midst of beautiful bushland traversed with foot trails, you will find the best-preserved convict site in all Australia. You can take a guided tour of the Commandant's House, Parsonage, Penitentiary, Barracks, Guard Tower, Hospital and Paupers' Depot and Asylum. The Nut: "The Nut" is a sheer-sided bluff, near the village of Stanley, that is the only remains of an ancient volcano. You can climb walking trails to the summit or get there the easy way — using the chairlift. At the top, you can look out over Bass Strait, its sandy beaches and the town of Stanley. Salamanca Market: This is a street market in Hobart held every Saturday at Salamanca Place. It is overflowing with arts, crafts, fresh produce, and thousands of tourists. Museum of Old and New Art: This is the top Hobart tourist attraction and has a huge inventory, but be aware it has many "controversial" exhibits. Royal Tasmanian Botanical Gardens: This immensely large garden has been in Hobart since 1818. Bushwalking, also known as trekking, is very popular. Two of the most famous bushwalks are the "Overland Track from Cradle Mountain to Lake St. Clair and The South Coast Track from Melaleuca to Cockle Creek, a six-day walk. Bike touring is one of the most scenic ways to familiarize yourself with the Tasmanian landscape. Also consider mountain biking; there's plenty of rough terrain on the island to facilitate it. Four-wheeling off-road in an all-terrain vehicle is common in this rugged Australian state. Partly this is simply for the pleasure of the ride and the up-close look at the scenery, but there are also many places you simply have a hard time accessing, especially in the woodlands, unless you have an ATV. Trout fishing can be facilitated by local professional guides who specialize in finding you the best trout spots, with due regard for seasonal and weather factors. However, there is more to fish for in Tasmania than just trout, and deep sea fishing is very popular offshore. Scuba diving finds one of its most ideal temperate diving environments in the world in Tasmania. There are gigantic "kelp forests," numerous shipwrecks, reefs, unique marine life (both plants and animals) and dive sites dotting the whole coast — some of the best are in the Bay of Fires, near the Tasman Peninsula, and by Flinders Island. And you can also, of course, swim, dive and surf at the same beaches where much of the scuba diving goes on. Kayaking is an adventurous way to explore the Tasman coastline, entering tiny coves as you ply along the rugged shore, and you'll find many kayak guides in both Hobart and elsewhere. You can also rent jet boats, cruise the coast in a sailboat or yacht or arrange for whitewater rafting in the inland region. Hang gliding and zip-lining are two great ways to fly over the canopy of Tasmania's thick forests and see them in a way you never otherwise would. There are tours of this sort that last as long as three hours and are headed up by highly-trained professionals. Another way to get a "bird's eye view" of the landscape is to go on scenic airplane or helicopter flights. Other activities you may also wish to take part in include: spelunking in Tasmania's cavernous caves, rock climbing, skiing the high inland slopes in the winter (same months as summer above the Equator), camping in its pristine woodlands and horseback riding. Contribute to research: The University of Tasmania has created a free app to research tourism trends in the state. This research is important to Tasmania as its economy is more dependent on tourism than any other Australian state, with tourism employing 6.1% of Tasmanians are directly and 11% indirectly. The app is accessed here. Adventure Tasmania  has a growing list of tour operators for Adventure and Outdoor activities. For high-fashion clothing, try the suburb of Sandy Bay just south of the CBD or any of the major shopping malls lining Murray and Liverpool Streets in Hobart. Go to Art Mob on Hunter Street if you want a souvenir shop that specializes in Aboriginal handicrafts/artwork. Try Mason Studio Jewelers or Emily Snadden at Salamanca Arts Centre for handcrafted jewelry with elaborate, original designs, some of them in an Aboriginal style. The Coin and Stamp Place is the only shop in Hobart specializing in coin and stamp collecting as well as in all things military-related. Kent & Kent Antiques by Constitution Dock gives you both a wide range of authentic antiques and a great view over the bay. In the same building as Kent & Kent Antiques, you'll find Astrolabe Booksellers, which has a large stock of Tasmanian, Australian, Antarctic, and maritime-themed books, besides more general fare. Many of the books are out of print and rather rare finds. Salamanca Market is a must-see stop in Hobart. It is open every Saturday morning and has numerous stalls offering everything from cheeses and jam to hand-knit beanies and other handicrafts to woodwork and glassware. Saddlers Court Gallery in Richmond, just 16 miles north of Hobart, is an arts and crafts gallery with works on display and for sale by over 100 local Tasmanians. You will find paintings, prints, woodwork, metalwork, ceramics, jewelry and more. At Design Tasmania Center in Launceston, you can find all manner of handmade wares, but its Tasmanian Wood Design Collection is particularly popular for its woodcrafts carved out of locally grown timber, including products of myrtlewood, blackwood, pine and sassafras. Penguin Market is the largest outdoor market in north Tasmania, having over 100 stalls that wrap around the Penguin Primary School. The town is set on the scenic northwest coast and offers everything from furniture to collector's coins, to homewares. Local musicians perform at the market on Sundays, and the kids may enjoy face-painting activities or some time in the on-site "jumping castle." In the north Tasmanian town of Latrobe, you may wish to visit Reliquaire for a unique shopping experience. Toys, candles, handbags, puppets, games, cook books, and Venetian masks compete for attention. Fruits and vegetables and all manner of organic foods are abundantly available. One of the island's nicknames is, in fact, "Apple Isle." You will find markets with fresh produce and restaurants that convert it into farm-fresh dishes. Chips and gravy, (french fries with rich gravy poured over them) is an extremely popular seller, and you can find them at a local "milk bar" (small cafe). More Wild abalone — a shellfish that flourishes along the storm-tossed, Tasmanian coastline — comes from Tasmania than anywhere else on the planet. Also look for scallops, oysters, mussels and crayfish. The Atlantic Salmon that is farmed in Tasman waters is much-sought by top chefs for its flavor and texture, even if it's quite a long way from the Atlantic. Leatherwood honey, produced by beekeepers working in the forested valleys of western Tasmania, has a unique flavor, a deep-yellow coloration, and is unusually thick and creamy. Cheeses produced in Tasmania are famous throughout Australia, mainly due to the efforts of King Island Dairy. You can try hard, soft, cheddar and blue cheeses, or even cheese from goat's or sheep's milk. Black truffles were discovered in Tasmania in 1999, and since then, the industry has attracted the attention of European chefs who prize them for the fact that they grow during Europe's "truffle off-season." The size ranges from a finger's width to a hand's breadth. Beef grown in Tasmania is free from the antibiotics and hormones used in most other regions, and the cattle are all grass-fed. In the northwest corner of the island, you can find Wagyu beef grown for export to Japan and for tourists. Other meats to look for include: venison, quail and wallaby (a small kangaroo-like marsupial). Ball and Chain Grill in Salamanca Place. Here, you will find fresh Tasmanian beef, poultry, seafood and more, all grilled over charcoals. Blue Eye Seafood Restaurant, also in Salamanca Place, brings together virtually all of Tasmanian seafood under one roof. The Bruny Island oysters and Spring Bay mussels are especially well-known here. Authentic Asian Gourmet on the Pier, looking over Hobart's Sullivan Cove, is just that — an authentic taste of Asia on a pier a bit far from it. Amigo's, in North Hobart on the famous restaurant strip known as Elizabeth Street, has been serving up high-quality Mexican food along with local Tasman dishes for three decades. Annapurna Indian Cuisine is also on Elizabeth Street, but a second location is found in Salamanca Place. Those unaccustomed to Indian food might think Tasmania an unusual place to first taste it, but Asian immigrants to Australia have brought their culinary skills along with them. "Travelers to Tasmania who are interested in sampling some unique, locally produced beers, whiskies, fruit ciders and fine wines will find plenty to choose from. In fact, the island has quite a long history of brewing/distilling, and many of the traditional techniques are still employed. Boags beer of Launceston and Cascade beer of Hobart are by far the two major beers produced in-state, and you can tour both Cascade Brewery and J. Boag & Sons Brewery for an up-close look at the manufacturing process and some samples. Boag beer is traditionally the favorite of north-islanders, while Cascade fills that role to the south, but that distinction is now fading as islanders re-locate more frequently and bring their beer preferences with them. Smaller, "boutique," breweries are also found scattered all over the state, including: Seven Sheds in Railton, Van Dieman Brewing in Evandale, Iron House Brewery in White Sands, Moo Brew in Hobart and Morrison Brewery in Launceston. You can also tour the Tasmanian whiskey-making industry with such groups as Tasmanian Whiskey Tours or Whiskey Trail, and you will learn much about the people, stories and methods involved from an expert tour guide. Overeem Distillery, a family-owned business that makes Overeem Single-Malt Whiskey. Sullivan's Cove Whiskey, a luxury brand done in small batches only, by traditional methods only, and using Tasmanian ingredients only. Lark Distillery in Hobart, another single-malt whiskey producer, which offers a grand selection of whiskies in both old casks and new and with a unique character that makes them "proudly Tasmanian." Due to Tasmania's location further south than the Australian mainland and to its cooler climate, the wines produced on the island are distinct in flavor from those made further north. The main wines produced are Pinot Noir, Chardonnay and Sauvignon Blanc. There are many tour groups that will take you, step by step, through the various Tasmanian wine-producing regions, though you could also opt to simply drive through the vineyards and visit the wineries on your own. Some of the main grape-growing areas on the island are: the Tamar River Valley just north of Launceston, the "Southern Wine Route," which includes the Derwent, Coal and Huon River Valleys (not far from Hobart), and the more far-flung wine routes of the northwest corner and along the eastern coast." Tasmania has one of the least-touched natural environments in all of Australia. For this reason, camping at state parks and nature reserves, staying in upscale but close-to-nature cabin accommodations and "caravanning" at any of the state's over 50 caravan (RV) parks are all popular ways to tour the island. Hillcrest Tourist Park & Market on the "sunshine (east) coast"
Tasmanian hotels/motels cover the full range from "budget-conscious" to five-star luxury living. Many of them are located in major tourist hot spots, and they frequently include Wi-Fi, swimming pools, game rooms, childcare centers and gymnasiums. Ten of the most popular hotel chains include: Accor, Best Western, Budget, Grand Chancellor, and Rydges on the more economical side; and on the more upscale side of things, Innkeepers, Pure Tasmania, Stay Tasmania, Tassie B&B Pubs, and TasVillas Group. Tasmania is famous for its numerous, locally owned bed and breakfast establishments. Some are set in-town inside of colonial-style buildings, while others are located on the edge of the wilderness or near popular beach strips. All of them, however, offer first-rate service and a memorable Tasmanian breakfast. Hobart Horizon is located in the beach-side Hobart suburb of Sandy Bay. You stay in a private apartment with access to a fully stocked kitchen, laundry room and private balcony overlooking the Derwent River. The Hobart CBD is only five minutes away. Red Rooster Host Farm is a B&B in a traditional Tasmanian farm setting and is set in the woodlands not far north of Launceston. You can relax in peace and quiet, view wildlife, stay in a quaint but well supplied country cottage and enjoy a farm-style Tasmanian breakfast. Tasmania's many resorts and lodges are often set amid natural beauty, such as on the edge of a state nature park or on a cliff-side overlooking the ocean, and they offer the highest level of luxury accommodations. You can expect a "full experience," including things like guided tours, spa treatments and fresh local foods and wines. The Lodge on Elizabeth in North Hobart, located on the restaurant-rich Elizabeth Street just five minutes from the CBD. Some suites come with personal spas, and all guests get a continental breakfast. Aspect Tamar Valley Resort Grindelwald just 15 minutes north of Launceston is surrounded by lakes, mountains, and vineyards. It offers guests golf, tennis, saunas, a heated pool, a plush and fully stocked room and near-at-hand fine dining and shopping. Tasmanians are generally more laid back and friendly than their mainland counterparts. They are usually very willing to help you out or give advice when asked. Jokes are occasionally made at the expense of Tasmanians by mainlanders about being inbred or have two heads. This is highly offensive. While this joke may slide in other parts of Australia it will not go down well here. Carefully adhere to all traffic regulations while touring Tasmania's scenic countryside or exploring the streets of Hobart and other island municipalities. Speed limits are normally 50 km/hr (30 mi/hr) in town and 100 km/hr (60 mi/hr) out of town, but watch closely for posted limits and school zones. Drive for conditions. Tasmania is the most mountainous state in Australia and has numerous winding, hilly roads that must be maneuvered with care. Be on the lookout for flocks of sheep, horseback riders and tractors as you drive, and be aware that ice can unexpectedly appear on the highway due to notoriously unstable daily weather patterns. Look for wildlife on the roads from dusk till dawn, and expect to see plenty of roadkill all day long. Wallabies and wombats can mess up your vehicle quite a bit if you hit one, but never swerve around them unless you are sure no other vehicles are in your path. When at the beach, never swim out of designated swim zones, dive where you are not sure of the water depth or wander too far out where dangerous rip currents can catch you away. Especially if children will be with you, be sure a lifeguard is on duty when/where you will swim. If you go bushwalking, bring full gear, a map, a compass and plenty of water to drink. Be sure to sign the logbook before/after each walk, and don't rely on there being constant Wi-Fi coverage. Rain and cold can strike suddenly, so bring a rain poncho and some warm clothing even if it is sunny out. Be wary of three species of venomous snakes that live on the island: copperheads, white-lipped snakes and tiger snakes. The same anti-venom works for all three species, no one has died of a snake bite in Tasmania since 1977 and most snakes will flee at the sound of people approaching, but still be on your guard. Boil water before consuming it if you need to refill your water supply while hiking or camping. Even though the water is sometimes safe to drink in remote wilderness areas, you don't want to take any chances. Never go without mosquito repellent when walking in the woods or other rustic areas because Tasmanian mosquitoes carry various harmful diseases, including Ross River Virus. Beware of Jack Jumpers, which are a Tasmanian ant species capable of jumping onto passersby and delivering fiery, stinging bites. Locally known as "jumping-jack firecrackers," these ants are responsible for one fatality every four years. Avoid contact with unknown plant species. There are over 1,000 poisonous plants in Australia, and their toxins can cause things like diarrhea, rashes and vomiting." When driving observe the speed limits. The rules are simple. 50km/h on all Tasmanian streets, and 100km/h on highways and country roads unless otherwise signposted. Many of Tasmania's country roads are narrow and windy, use common sense and drive to the conditions - not the speed limit. Always slow down at school zones and crossings when in operation or you may be surprised by a waiting police car and receive a fine. Be especially careful driving between dusk and dawn as this is when the wildlife is most active. Be prepared to see a lot of roadkill. Wallabies and wombats can make a mess of your vehicle if hit. Drivers swerving to avoid wildlife have caused many accidents. Bushwalking can be a truly breathtaking experience in Tasmania, but be sure to obtain the right gear, local advice and maps. Always sign the logbook at the beginning and end of each walk. Be aware that mobile coverage is limited in wilderness areas. The main dangers of bushwalking are getting lost and/or suffering from hypothermia. Tasmania's weather is notoriously changeable. Be sure to take a good raincoat and warm clothes with you even on a sunny day because an hour or two later it could be pouring with rain. If undertaking more serious bushwalking a map and compass is a must, as is a good sleeping bag and tent for multi-day walks. There are three species of snake in Tasmania: copperhead, white-lipped, and tiger. The tiger snake is one of the most venomous snakes in the world, but don't let that deter you. No one has died in Tasmania by snake bite since 1977, almost 40 years ago! All three use the same anti-venom so identification of the snake if bitten is not important. Most snakes will slither away as soon as they hear you coming. While in wilderness areas the water may be good to drink, but it is still highly recommended that you boil before consumption. If in touristy areas, such as The Overland Track, always boil your water. Mosquitoes are present all year round. There are mosquitoes-born viruses. Numerous cases of Ross River Virus are on record with the State Health Department .A good repellent is advisable if going into the bush. Flights from Hobart to Melbourne, Sydney, Canberra, Brisbane, and the Gold Coast. Flights from Launceston to Melbourne, Sydney and Brisbane. Flights from Burnie and Devonport to Melbourne. The Spirit Of Tasmania ferry service between Devonport and Melbourne departs 1-2 times a day. Night sailings depart 6pm and arrive 6am. This page was last edited on 13 December 2018, at 05:46.